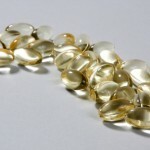 HomeIssuesDo Selenium & Vitamin E Increase Prostate Cancer Risk? Do Selenium & Vitamin E Increase Prostate Cancer Risk? Should Men Avoid Those Supplements? In a recent “Health Tips From The Professor” I debunked the headlines saying “Omega-3 fatty acids increase prostate cancer risk“. What about vitamin E and selenium? Is it true that they increase prostate cancer risk? If you are a man over 55, should you be concerned? 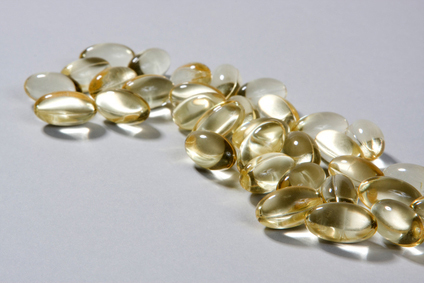 Should you stop using supplements containing vitamin E and selenium? The study that generated the initial excitement in the field was the Nutrition Prevention of Cancer (NPC) Trial that ended in 1998 (Clark et al, British Journal of Urology, 81: 730-734, 1998; Duffield-Lillico et al, British Journal of Urology, 91: 608-612, 2003). That study showed that supplementing men who had low blood levels of selenium with 200 ug/day of selenium decreased their prostate cancer risk by 65%. It was followed by a second, much larger trial called the Selenium and Vitamin E Cancer Prevention Trial (SELECT) (Lipmann et al, JAMA, 301: 39-51, 2009). It looked at supplementation with 200 ug/day of selenium and/or 400 IU/day of synthetic alpha-tocopherol. The SELECT study found no protective effect of either selenium or vitamin E on prostate cancer risk, but did suggest that vitamin E might actually cause a slight increase in prostate cancer risk. The authors of the study that generated the recent headlines (Kristal et al, Journal of the National Cancer Institute, doi: 10.1093/jnci/djt456, 2014) were attempting to find a simple explanation for the unexpected results of the SELECT study. They hypothesized that the baseline selenium status at the beginning of the study might have influenced the outcome of supplementation. Kristal et al reanalyzed the data from the SELECT trial, comparing the effect of selenium and vitamin E supplementation in men with low selenium status and men with high selenium status. Supplementation with selenium had no effect on prostate cancer risk in men with low selenium status, but increased prostate cancer risk by 91% in men with high selenium status. Conversely, supplementation with 400 IU of vitamin E had no effect on prostate cancer risk in men with high selenium status, but increased prostate cancer risk by 63% in men with low selenium status. Based on this hodge-podge of data, they concluded that “Men aged greater than 55 should avoid supplements with either vitamin E or Se (selenium) at doses that exceed recommended dietary intakes.” That was the statement that generated the headlines. Was that recommendation justified? 1) Why did the SELECT study find no effect of selenium supplementation in men with low selenium status, while the earlier NPC trial found a 65% decrease in prostate cancer risk? The authors of the editorial pointed out that the lowest baseline selenium status in the SELECT trial was much higher than the lowest baseline selenium status in the previous NPC trial. In fact the baseline selenium status in the SELECT trial was at a level in which no effect of selenium supplementation would have been expected based on the results from the NPC trial. The authors speculated that the addition of selenized yeast to animal feed has improved selenium status in the US population to the point where selenium supplementation can no longer be expected to reduce prostate cancer risk. 2) Why did selenium supplementation increase prostate cancer risk in men with high selenium status, but not in men with low selenium status? The authors pointed out that for selenium there is a very narrow range between sufficient intake and toxicity. The daily value (DV) for selenium is 90 ug/day and the recommended upper limit (UL) for selenium intake is 400 ug/day. The average selenium intake for adult men in this country is 151 ug/day. That’s just the average. It’s not hard to imagine that adding 200ug/day of selenium to men at the highest selenium intake could move them into the toxic range. 3) Why did vitamin E supplementation increase prostate cancer risk in men with low selenium status, but not in men with high selenium status? In part, the authors felt that the pure alpha-tocopherol used in the SELECT trial was not optimal. Pure alpha-tocopherol interferes with the absorption of the other naturally occurring forms of vitamin E, such as gamma-tocopherol – which is the form of vitamin E that decreases prostate cancer risk in animal studies. The authors also noted that vitamin E and selenium work together to inactivate free radicals in cell membranes. Vitamin E reduces the free radicals to a chemically unstable intermediate that still has the potential to damage membranes. A selenium-containing enzyme is required to convert that unstable intermediate into a completely harmless compound. So when vitamin E is present in much higher levels than selenium, as it was in the group with low baseline selenium status, unstable radicals can accumulate and membrane damage can occur. The authors felt that this was the most likely explanation of the increased prostate cancer risk when men with low selenium status were supplemented with high dose vitamin E.
The authors of the editorial had a much more nuanced interpretation of the data reported by Kristal et al. If you read their evaluation carefully you would likely conclude that you should avoid high dose selenium supplements. However, rather than simply avoiding vitamin E supplements, you should choose vitamin E supplements that contain all of the naturally occurring vitamin E forms and contain near DV amounts of selenium. These recommendations would be a much better fit to the data, but don’t lend themselves to dramatic headlines – so the editorial has been largely ignored by the press. 1) Ignore the scary headlines about selenium and vitamin E causing prostate cancer. You can continue to use your supplements as long as you choose ones that are well balanced. 2) Conversely, if you are at risk of prostate cancer, there is no good evidence that supplementation with either selenium or vitamin E will reduce your risk. 3) The results of this study are fully consistent with my longstanding recommendation to follow a holistic approach to supplementation and to avoid high dose single nutrient supplements. 4) There is no reason to supplement with 200 ug/day of selenium. If you are already getting good amounts of selenium from your diet, that dosage could be toxic and may actually increase your risk of cancer. Make sure that your supplements have no more than the DV (70 ug) of selenium. 5) Avoid high purity alpha-tocopherol supplements. Look for vitamin E supplements containing the full spectrum of tocopherols and tocotrienols in addition to alpha-tocopherol. In addition, make sure that your vitamin E supplement also contains selenium at near DV levels.